Approved English Language Test Providers' New List Announced by UK! Approved English Language Test Providers’ New List Announced by UK! UK immigration department has announced changed list of English language providers which are approved by the government. The new language test providers will be in effect from 18th May 2011. Visa applicants of Tiers 1 and Tier 2 taking the points-based tests can use previous test provider’s result subjected that their application must be received by the UK Border Agency on 17th May or before that. From 18th May onwards language tests taken with new test providers can be used strictly as part of applications for Tier 1 or Tier 2 visa programs. The new English language test providers are Cambridge ESOL, Edexcel, City and Guilds, Trinity College London and Educational Testing Service (ETS). Only tests attended with these new providers now can be used as evidence of English Language proficiency. Fresh visa applicants should use this list to update them of the new changes or can assess Abhinav immigration’s free information services. It must be reminded that UK visa applicants have to pass a point based system test in order to get approval for UK visa. Numerous visa categories invite skilled and highly skilled professionals to work and live in UK. English Language proficiency test evaluates visa applicants of their efficiency and easiness with English language. Candidate has to score well in point-based system to qualify for UK visa. 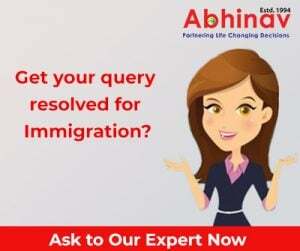 Abhinav immigration is actively serving candidates of UK visa and immigration since 1994. Employability and Capacity Building- Skilled Migrant Category! Settlement and Contribution Requirements- Skilled Migrant Category!